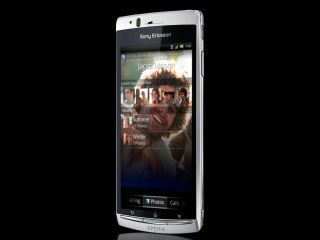 Sony has announced that it will acquire Ericsson's share of Sony Ericsson to take its mobile phone business in-house. A statement from Sony explains that Sony Ericsson will become a wholly owned subsidiary of Sony. The mobile phone business will be "integrated into Sony's broad platform of network-connected consumer electronics products." Sony is paying Ericsson €1.05 billion in cash for its half of the company, in a move that comes as little surprise. Tension between the partners has become increasingly clear, and Sony will be aware that the likes of Apple and Microsoft are pushing hard to offer consumer devices that threaten its position. The buyout also hands Sony ownership of 'five essential patent families' and a broad IP cross-licensing agreement with Ericsson. "This acquisition makes sense for Sony and Ericsson, and it will make the difference for consumers, who want to connect with content wherever they are, whenever they want," said Sir Howard Stringer, Sony's Chairman, Chief Executive Officer and President. "With a vibrant smartphone business and by gaining access to important strategic IP, notably a broad cross-license agreement, our four-screen strategy is in place. "We can more rapidly and more widely offer consumers smartphones, laptops, tablets and televisions that seamlessly connect with one another and open up new worlds of online entertainment. "This includes Sony's own acclaimed network services, like the PlayStation Network and Sony Entertainment Network. "We can help people enjoy all our content – from movies to music and games – through our many devices, in a way no one else can." The deal almost certainly marks Ericsson's final bow in the mobile sector - an area in which it was once a key player - and the Swedish company will now focus on its network infrastructure business. But the relationship with Sony is not entirely at an end, with the two companies to collaborate on a wireless connectivity initiative to "drive connectivity across multiple platforms." Sony Ericsson was established back in 2001, with the goal of pairing Sony's consumer electronics expertise with Ericsson's phone and network knowledge. Essentially, the partnership gave Sony a foot in the door of the mobile world, giving it purchase in a market where its previous efforts had captured less than one percent.